Do you ever have an identity crisis, either personally or in your business? I have had some significant changes professionally over the last 16 months, as I’ve been trying to rediscover myself. Coming from years in sales and retail, I never thought being a writer would be possible. Now I know, without a doubt, writing is what I want to do. The last year has been a wonderful blessing as I was able to write for clients in several different industries, plus my first published article. The more I write, the more I love it. With that in mind, I enrolled in a course to help me sort out and improve my blogging skills. However, it unexpectedly drew me into an identity crisis. As someone who is never short of ideas and loves to chase the proverbial “rabbit” and “shiny objects,” I found myself trying to redefine myself, yet again, and developing an entirely new business strategy as a result of working through this course. It seemed really terrific until I suddenly realized I had opened a can of worms, created an insane amount of work for myself, needed to rebrand, which required more money out of my pocket, a new name, new marketing direction….then I froze. I realized I was tense, frustrated, and stressed out! Feeling suddenly overwhelmed one night, I closed my computer, went to bed and tossed and turned. My thoughts swirled around until I had sufficiently stressed myself out to the point that I knew I would not sleep. There it is….my professional identity. I am a writer. I need to stop trying to be clever, trying to fit into a mold that belongs to someone else. I don’t need to be some national expert or name. Creating online courses, resources, and a host of other things I was dreaming up sounded exciting, but it meant more money and a whole lot of work. I found myself getting nauseous. 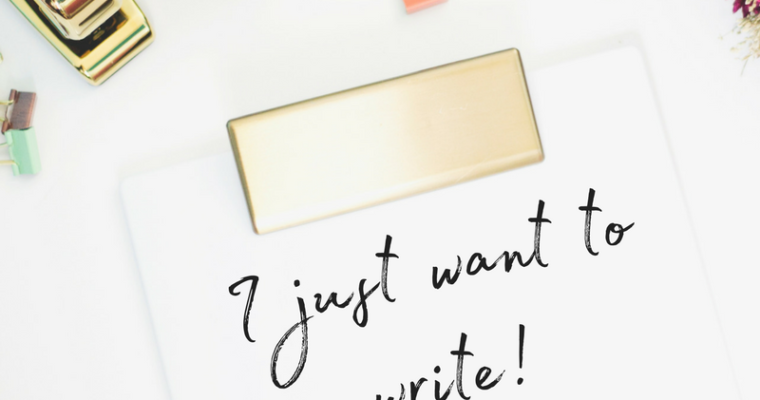 Writing great blogs and articles for other people is what I want to do. I love to write about real estate, how to handle finances, healthy living, and even taxes! Give me a boring subject, and I’ll do my best to turn it into compelling and relevant content that is useful to the reader. Like researching about design trends, Millenials, and the impact of the aging baby boomers on our economy. I get excited when I need to study how to be prepared for an emergency or where to find the best place to recycle things. Or maybe it’s an article about interesting places to shop local, eat on a patio, or take your dog for a walk. My favorite stories are the small business owners who are the heart and soul of each community. What an honor to bring attention to the Mom and Pop businesses out there. Writing blogs and articles for a variety of industries satisfies this inner hunger I have to learn about everything. Our world is so fascinating! People are amazing, there is so much to learn, and I find deep satisfaction in taking a mundane subject and turning it into an interesting post that connects businesses to their ideal customer. LauraLPrather.com, which supports my content writing business, Blog Anthology. For all practical purposes, Blog Anthology and Living Free Blog are my heart and soul. Both are my passion, but for very different reasons. It was hard to walk away from the other blogs, especially the one I planned on changing into a new business venture, but I had to decide what I really wanted. I just want to write – and write for other people. What a relief to pick ONE THING and focus on it. Clarity + focus = mastery and success. Question: The excuses of money or the expectations of others aside, what do you want to do? What purpose gets you excited when you wake up in the morning? Do you ever feel confused about your direction? Sound off below!